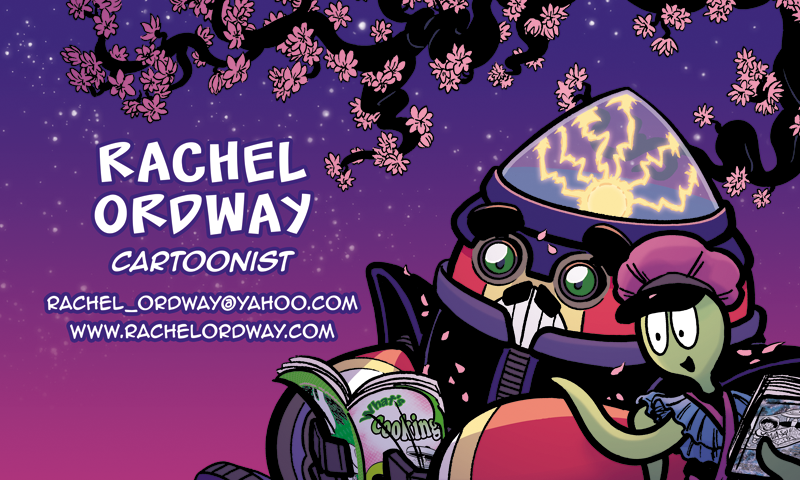 Rachel Ordway is a freelance cartoonist and alumnus of the Savannah College Of Art & Design’s Sequential Art program. She enjoys drawing more than eating, which is sometimes a problem. In addition to various self-published comics, her work appears in the acclaimed anthologies Chainmail Bikini, Sweaty Palms (volume 1), Dirty Diamonds (#8), and the soon-to-be-acclaimed FTL Y'all, as well as in the archives of Comic Book Resources’ sketch group “The Line It Is Drawn”.